landing site for helicopters wishing to land safely with free parking and direct road access. The helicopter landing site has excellent access to the A5, M1 and Milton Keynes / Leighton Buzzard / Aylesbury road network. The helicopter landing site is in a 20 acre flat field (divided into 8 acre and 12 acres) and is also available for field hire so it can accommodate caterers / marquees etc if required. Perfect for special birthdays, charters etc. as this rural helicoptor landing site has no neighbours to disturb and is surrounded by open fields and bordered by a road on two sides and is screened by a well established hedge (across the road from our award winning farm shop). 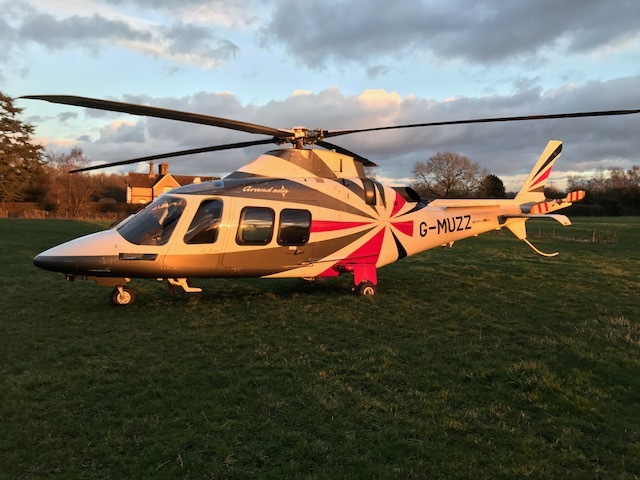 This quiet landing site is perfect for corporate and personal helicopter charter services looking for a cost-effective, rural helicopter landing and parking site outside London with convenient access to the M1. FYI the postcode is LU7 9PA we are near the village of Eggington in Bedfordshire, less than an hours drive from London (close to Milton Keynes, Aylesbury and Leighton Buzzard) – 45 minutes from Silverstone and 10 minutes from Woburn.